Memory foam bedding is becoming increasingly popular because it is known to provide sleepers with greater support and a comfortable night's sleep. If you can't afford a memory foam mattress, or already have a mattress but would like to try memory foam, simply purchase a memory foam topper to go atop your bed. If you already have a pillow top cover there's no need to worry. You can combine a memory foam topper with a pillow top cover to give yourself the ultimate luxury. Place the memory foam topper on the pillow top cover of your mattress. Center the memory foam evenly so that it covers the bed completely. 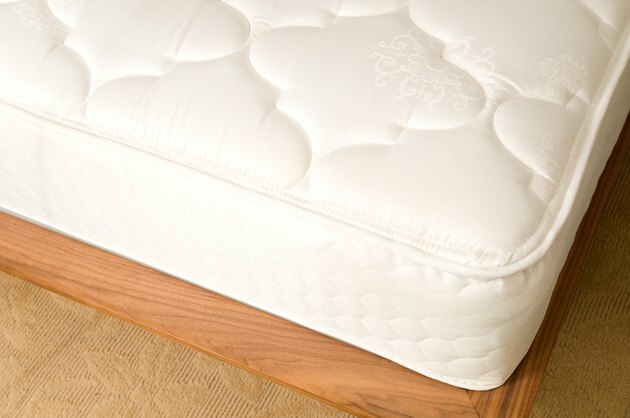 Stretch a fitted sheet over the memory foam topper and the pillow top cover and around the mattress. Putting the fitted sheet on your bed might be more difficult than usual because of the added bulk, but it is manageable. The sheet will hold the memory foam topper in place on the pillow top cover. Conduct the above steps in reverse, if you wish, by placing the memory foam topper beneath the pillow top cover so that the pillow top cover is on top. Can You Place a Feather Bed on Top of Memory Foam?